Huhu beetle larvae are commonly known as huhu grubs. They hatch from eggs deposited under bark or in crevices in rotten wood. 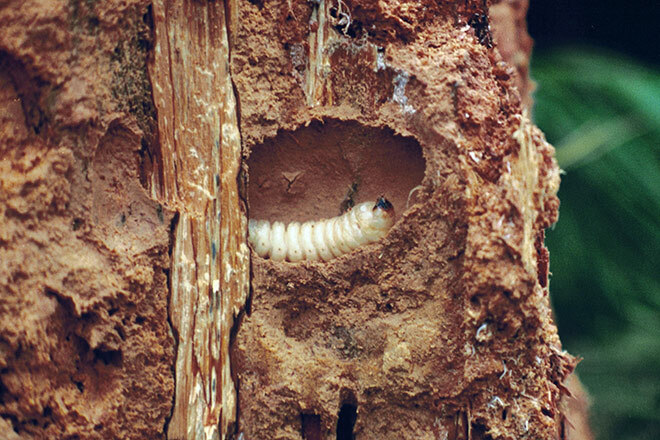 For two to three years they live in cavities they have eaten into the wood, then begin a pupal stage that lasts 25 days. They emerge as flying adult huhu beetles.